SEO Search and Local Marketing: Where does your site rank? Does your SEO Attract Prospects? By now almost everyone has heard about SEO. Yet there remains a lot of misunderstanding and at times a mystical belief about SEO. The relative newness of the industry along with the variety of information online makes getting a true understanding of SEO difficult. Purveyors of SEO snake oil add their own poison: "We can get you #1 ranking - guaranteed!" or "We have a special relationship with Google." Don’t buy that. 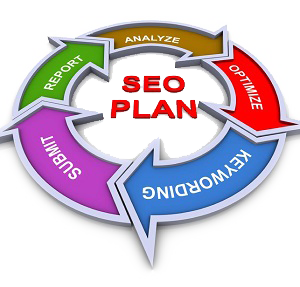 SEO done properly will measurably improve your site traffic and quality of visitor. This will lead to more customers. Additionally, if site performance is tracked through analytics you will see correlations between the SEO campaign and sales. Then you can allocate more time, effort and money to the campaigns that yield results. Tier Strategies is a Nashville SEO company we research the best key phrases and optimize all parts of your site to achieve rankings on the first page of Google. However, we go beyond most SEO companies by monitoring traffic, site usage, conversions and then making changes to improve performance. Our service is highly personal as we get to know your company and market in-depth. For us a one time SEO service is scarcely better than doing nothing. Search is a powerful tool to connect motivated buyers with sellers. So to be successful you have to understand the purpose of both search engines and searchers. Unfortunately, neither knows about your business – so it is your job through SEO to inform them. Engines search the web to locate the most relevant sites for any particular query. When a web page is properly targeted with well written copy and pertinent links then a high ranking is the reward. Searchers just want a question answered. “Where is the closest pizza place”, “Who are the best chiropractors”, “When does an event start”. However, they use a variety of phrases to get this info and sometimes the phrases they choose are not clear. Increased Visibility – Proper SEO will position your site to catch Google’s attention and includes: copy, site architecture, tagging and inbound links. Targeted to a Searcher – Pages not sites receive ranks. Great sites have several pages of content that are created specifically for a related set of phrases. 1) Success is a Process – SEO is not like instant coffee. It takes time to research an industry, select the best key phrases, prepare the site and write compelling copy. That’s just the preparation. Think about it – if you want to increase your rank another site must go down. Also Google only reviews a site every so often. If you patiently work toward your goal you will achieve lasting results. 2) Conversions Not Rankings Determine Success - Simply getting a high ranking is not sufficient. Visibility serves to attract the right target, but a sales conversion is the ultimate goal. So the question is do your ranks generate the right prospects and do they become clients? Together, SEO and conversion analysis drive customers and generate a healthy return on investment. 3) Expert SEO Guidance - In the early days of SEO business owners could do a little research, write some copy and have a good chance of achieving at least local search results. That is not the case today. What constitutes proper SEO has grown. Today it is as much about site architecture, semantic context and authority as it is about copy and links. By enlisting agency help you gain years of expertise and free time to concentrate on your business. 4) SEO is more than Search Engine Optimization - People use the term SEO when they really mean Search Marketing. This broader definition includes SEO practices with search ads, local positioning (Google +) and the analytics to measure performance. A defined strategy with all of these elements will yield better results.